11-11: Memories Retold is a collaboration between Bandai Namco, Lost in Harmony developer DigixArt, and Wallace and Gromit creator Aardman Studios. It tells the interweaving tales of two men – Harry, a young Canadian photographer joining the Western Front (played by Elijah Wood) and Kurt, a German technician searching for his son (Sebastian Koch) – beginning on November 11th, 1916, and leading to Armistice Day two years later. It’s an intriguing little thing, with an extremely unusual, painterly art style, that brings to mind Ubisoft’s wonderful WW1 tale Valiant Hearts. Like that game, 11-11 switches perspective throughout its story, sometimes even showing events from the viewpoint of the protagonists’ animal companions. You can get a taste of its action in the 17-minute video below. 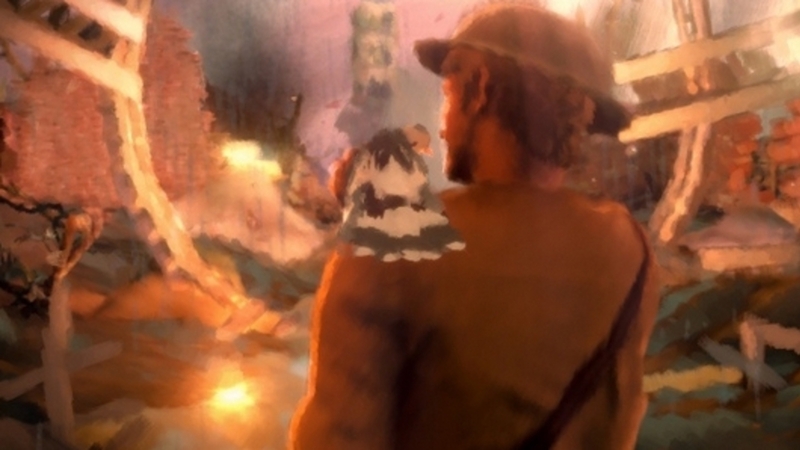 11-11’s charity DLC will introduce letters, drawings, and photographs to the main adventure, all recounting the tales of Jack and Eva – “two naive and innocent children who find themselves drawn into the dramatic events of World War I”. Jack and Eva’s journey is apparently inspired by real-life stories from children that have received support from the War Child foundation. According to Bandai Namco, the War Child DLC will launch alongside 11-11: Memories Retold when it comes to PC, Xbox One, and PS4 on November 9th. There’s no indication of price for the DLC just yet, but the video accompanying the announcement says that War Child UK will receive a “portion” of all proceeds from sales.